Communicating with your clients is what websites are all about . Our job is to work closely with you to find the best solution that meets your and your customer needs. We will work closely with you to make the process of putting together an exciting online representation of who you are and the services you have to offer. Together we will determine the type of website that best fits your needs and your pocket book. During our first meeting we will discuss your website focus and how to produce a “Website that Works” tailored to your specific needs. What is necessary for you to start a website. What type of website do you need: Static, dynamic or ecommerce. Do you want to include a blogging feature. What about search engine optimization (SEO). 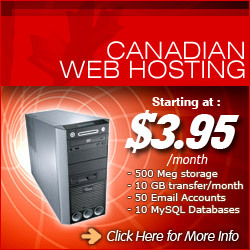 Website hosting, domain name and email setup. Would you prefer a content management system so you can do text updates. What about ongoing service support and website maintenance? Rates for web design are best done on a consultation basis due to the many different facets involved in creating a web presence. Logo Design and Business Card or you may already have these designs ready to add to your website. You may only need a Website Redesign with possibly an addition of a content management system (CMS), re-work of code, and search engine optimization. You may need a full Brochure Website, Logo, business card and 2 – 5 page brochure website. Possibly with a blogging section and CMS. Or you need a full website including an E commerce section. Prices will vary depending on website complexity and the amount of content that the client will input.